The first International Blues Music Day was incredible! We can’t wait for the second one!!! We will have a fantastic line up of some serious blues musicians featuring Chris Cameron blues band, Little Joe McClerran, and RJ Mischo. All of these guys have won an award at the international blues music contest in Memphis. So, we have to say that, we will have the best of the best!!!! 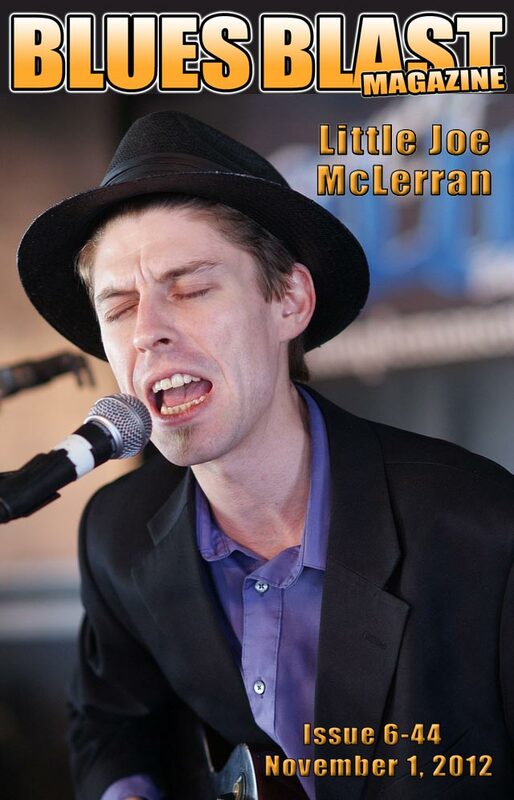 Little Joe McLerran won the 2009 International Blues Challenge in Memphis at the age of 25. It was the 25th annual staging of the event. Joe took first place in the solo division. Little Joe has been playing the guitar and singing his piedmont blues since he was eight years old. He performs solo or with his band as circumstances determine. In spring 2011 Little Joe took his band for a week …to Paraguay, South America on a cultural exchange mission for the US State Department playing concerts, clubs and hosting jam sessions and master classes at various music schools around the country. Last year Little Joe and his band toured for a month around the Persian Gulf as part of The Rhythm Road: American Music Abroad hosted by Jazz at Lincoln Center and the Education and Cultural Affairs bureau of the US Dept of State. They visited four Arab countries including Bahrain, Saudi Arabia, Kuwait, and Oman. They played the first public concert by an American band ever in Riyadh, the capitol city of Saudi Arabia. It was blues all the way. (See Wall Street Journal article June 17, 2010) “Blues for the Third World”, says Little Joe. Since winning the IBC title Little Joe has played festivals, concerts and club dates across the US and abroad. His critically acclaimed CD “Believe I’ll Make a Change” rose to number 1 on the blues radio charts early in 2010 and remained at the top of the charts for months. (See Downbeat review Sept ) The CD made it to number 12 on the annual Roots Music Report. He is currently working on his new CD, which will be released in early 2012. Chris Cameron is putting out blues ahead of his time. Named “Most Promising International Blues Guitarist” in 1997 at the International Blues Talent Competition in Memphis, Tennessee, Chris performed solo acoustic and received first place in the overall contest as he competed against 37 bands from all over the world. Since 2005 Cameron is fronting a new band of seasoned musicians. This mix of youthful exuberance and experience has produced a formidable sound. Singer/Harmonica player R.J. Mischo began his music career over 20 years ago in Minneapolis. He worked with the area’s legends of the Blues scene like Muddy Waters alumni Mojo Buford and Sonny Rogers, as well as Percy Strothers & Milwaukee Slim. R.J. then led his own groups and gained a reputation as one of the region’s top blues acts. During his tenure in Minneapolis, R.J. was nominated in several categories by the Minnesota Music Academy and in 1996 won the award for Best Harmonica Player. RJ Mischo scoops up everyday life and personal experiences and funnels them through his harp and vocals, and what pours out is the hot-blooded passion, the playful humor and high voltage energy of the blues. R.J. was introduced to audiences worldwide when he and guitarist Teddy Morgan formed the RJ & Kid Morgan Blues Band featuring Percy Strother. In 1992 they released Ready To Go on the W. C. Handy award-winning Blue Loon Records. 1994 brought the critically acclaimed Gonna Rock Tonight also on Blue Loon Records. After several successful tours of Europe, RJ recorded Rough ’N” Tough “live in Europe “in 1996 and Cool Disposition in 1997 on the prestigious German label, Crosscut Records. In 1998 R.J. Mischo and His Red Hot Blues Band moved to San Francisco, California and quickly established himself in the local music scene as each performance typically runs the gamut from mellow-down-easy acoustic to highly-charged full-on electric. The CD “West Wind Blowin'” featured advances in R.J.’s writing style and guest performances by guitarist/vocalists Steve Freund and Rusty Zinn. RJ waxed three more Albums in California plus appeared on 2 volumes of Blues Harp Meltdown CD”s compilations featuriing live recording’s of Mark Hummel’s famous blues harmonica blow-outs with Kim Wilson, James Harman, Billy Branch, Rick Estrin, Gary Primich, Johnny Dyer, Annie Raines, Gary Smith, and Cephas & Wiggins. His latest and 9th CD “King Of a Mighty Good Time” 2008 was recorded “live” in the studio to best capture the energy and interplay of sympathic musicians under optimal recording conditions. RJ and his Wife now reside in Fayetteville, Arkansas. R.J. works in the area with Northwest Arkansas’ finest including guitar-ace Jimmy Thackery, the Table Rockers, Zack Bramhall and Arkansas legend Earl Cate. As well as touring worldwide performong on Blues Festivals and clubs with his own Red Hot Blues bands!